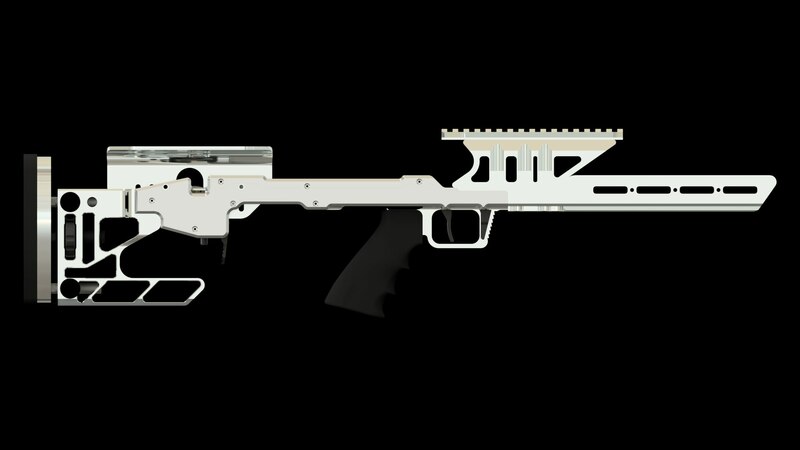 Hi guys, wanted to share a drop-in bullpup chassis I'm developing! 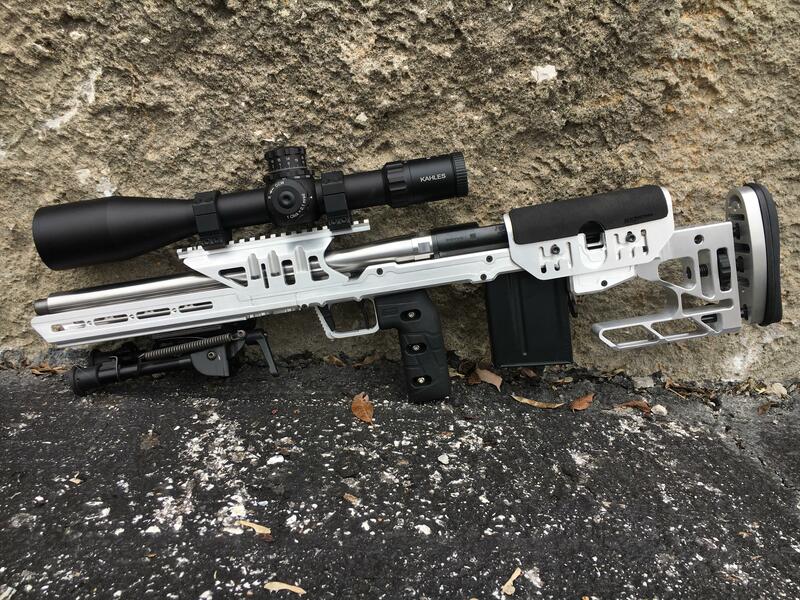 Re: Hi guys, wanted to share a drop-in bullpup chassis I'm developing! Nice! I can't wait to see the actual prototype. How’s the weight looking? I’m seriously considering one of these as my next gun. Still releasing at Shot Show? It is around 4lbs, lighter than the average chassis. Price is $1999.99 with custom Calvin Elite, scope rail, etc. We will be at SHOT in the NEXT section. Come say hi! What length barrels are shown in the pictures? Will the stocks be painted, dipped, cerakoted, ? When will they be available for shipping? Stocks will come with a black hardcoat anodization. It can be painted, etc from there. Very pleased with my anodization supplier it is extremely durable. 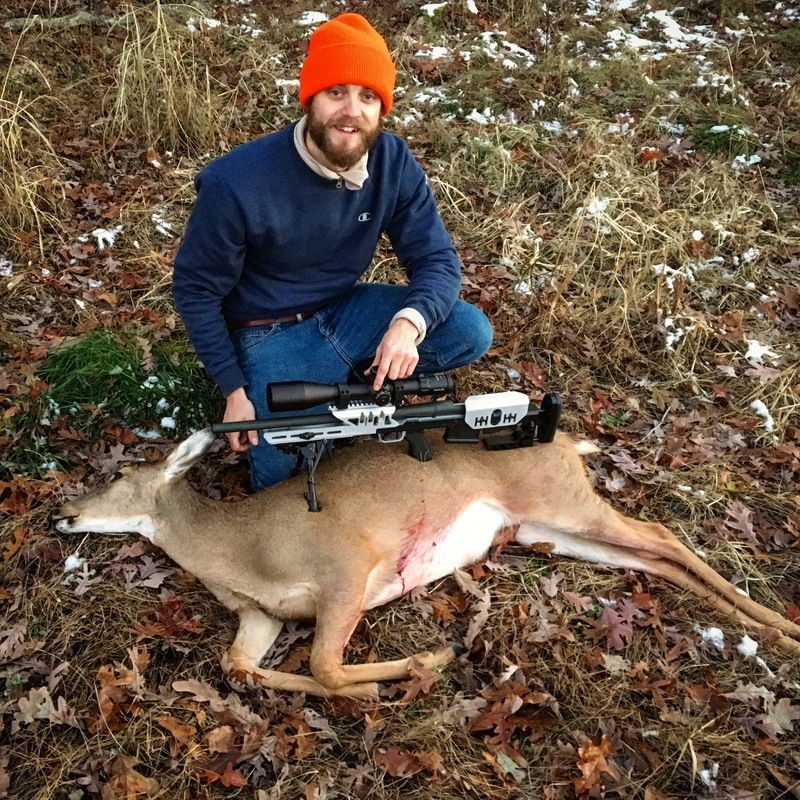 16" barrel in short picture, 20" (I think) in the deer pic. Gonna start taking preorders at SHOT Show, hoping to ship mid 2019 once we see the size of production batch needed. Hello folks, I wanted to share that preorders are live, and the first production batch will ship this fall. It's been a great experience the past handful of years developing this, and I absolutely stoked with how the trigger and ergonomics have turned out, and I look forward to developing a complete rifle system over the next handful of years!